Designed and crafted with open source ideas in mind, Phoenixcoin is a digital currency for everyone. It doesn't depend upon very expensive hardware and can be mined successfully with popular computer video cards or processors. It is also a fast and reliable way to send money worldwide. Phoenixcoin is developed with a high level of transparency and community involvement to embrace the most advanced technology. Anyone can contribute to the development. Every little thing matters. In order to use Phoenixcoin, you need some client software also known as digital wallet. 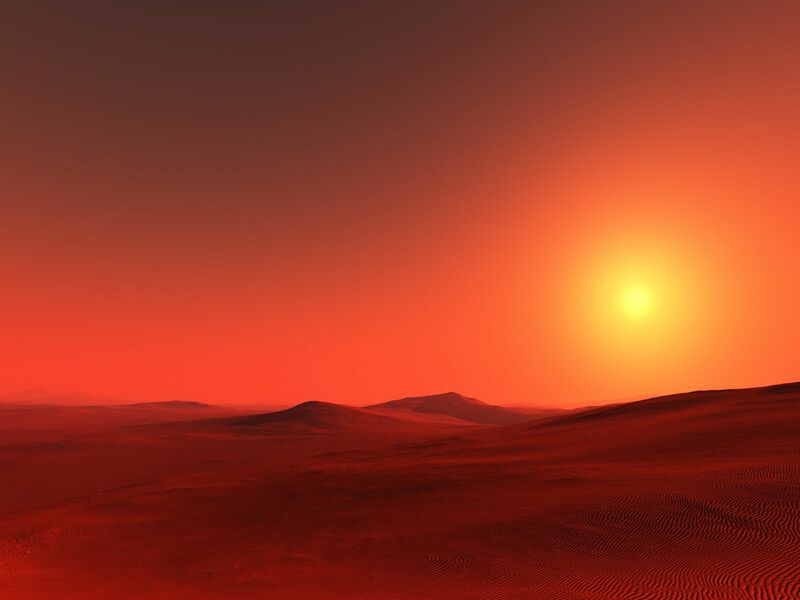 It maintains a local copy of the Phoenixcoin block chain where all transactions are stored, allows you to send and receive coins as well as to check your balance at any moment. 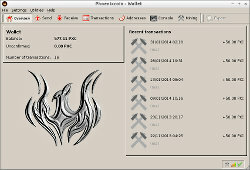 It makes your computer a part of the Phoenixcoin network and communicates with the other network members also known as peers. Phoenixcoin is a decentralised currency, so there is no central authority to supervise it. Peers control the operations by global consensus. Every peer is a master of his own. The latest version is 0.6.6.2 released on the 13th of February 2019 (source code). 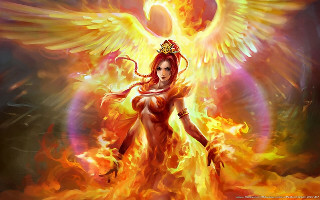 Phoenixcoin can be mined and traded on many sites. 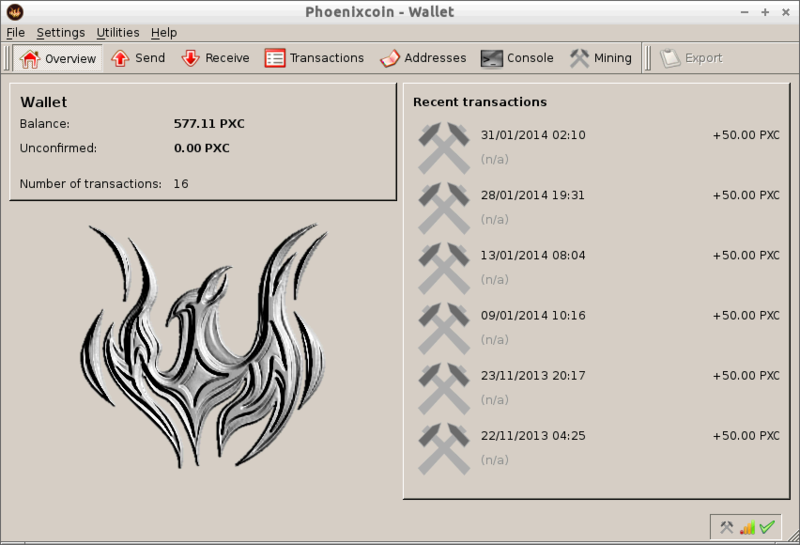 Phoenixcoin was released in May of 2013 as a further development of Litecoin.